HOW CAN QIGONG (CHI KUNG) HELP YOU? Improves Health (Qigong was used during the Cultural Revolution in China to improve the health of patients. Now there are Qigong hospitals in China. HOW CAN TAI CHI HELP YOU? Altair specifically uses Mindfulness techniques to help you let go of stress at mental, emotional and physical levels. These techniques are designed to be used daily in your life, to create a peaceful life, not only on class days! 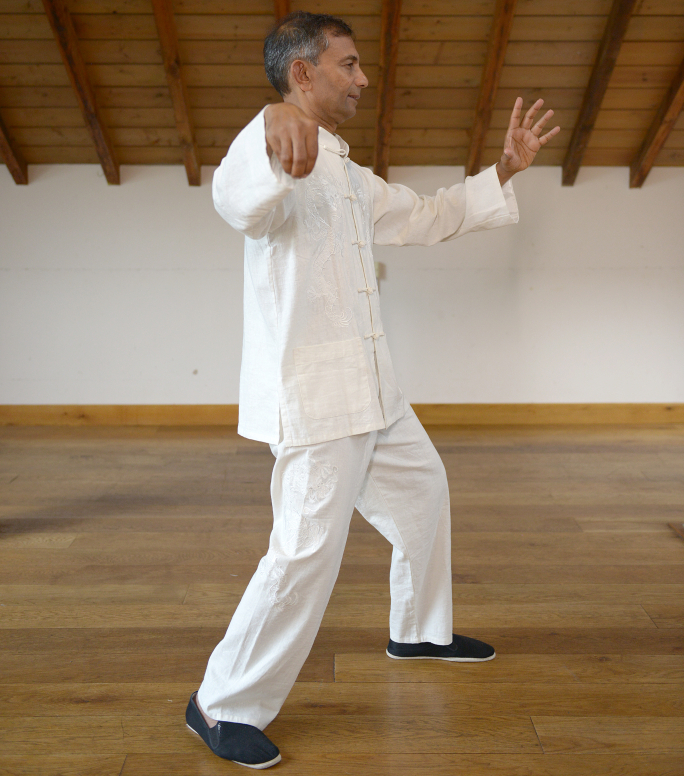 For newcomers to Tai Chi or Medical Qigong*, a taster-class is offered at a reduced cost of £5 to enable you to experience the benefits you’ll get from Altair’s 39 years experience in this field. Both to be paid in advance. Medical Qigong* drop-in session – £12. It is £9 per class when you block pay in advance. *Medical Qigong is a specific form of Qigong designed to boost health generally. However, it can also be used to treat specific health issues. Altair also uses his 31 years of Acupuncture experience to help his Qigong students.